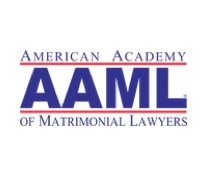 Fairfax, VA – David R. Clarke, a principal with Blankingship & Keith, P.C., has been named a Fellow in the American Academy of Matrimonial Lawyers – one of only 1600 lawyers in the U.S. to hold this credential. Membership in the organization indicates the highest degree of professionalism and excellence in the practice of family law. With more than 30 years experience in the area of family law, Clarke represents clients in routine matters as well as divorce cases involving complex marital estates, custody, and support. A skilled litigator in state court divorce proceedings, his clients have included owners of closely held businesses, CEOs, and other professionals.